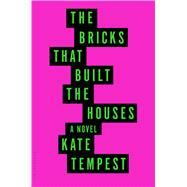 Kate Tempest, a major talent in the poetry and music worlds, sits poised to become a major novelist as well. Kate Tempest grew up in southeast London, where she still lives. She has gained acclaim as a poet, playwright, rapper, and recording artist. Her long poem Brand New Ancients, conceived as a performance piece, won the Ted Hughes Award for Poetry in 2013. In 2014, her album Everybody Down was shortlisted for the Mercury Prize and she was selected as one of this decade's Next Generation Poets by the Poetry Book Society. She is also the author of the collection Hold Your Own. This is her first novel.